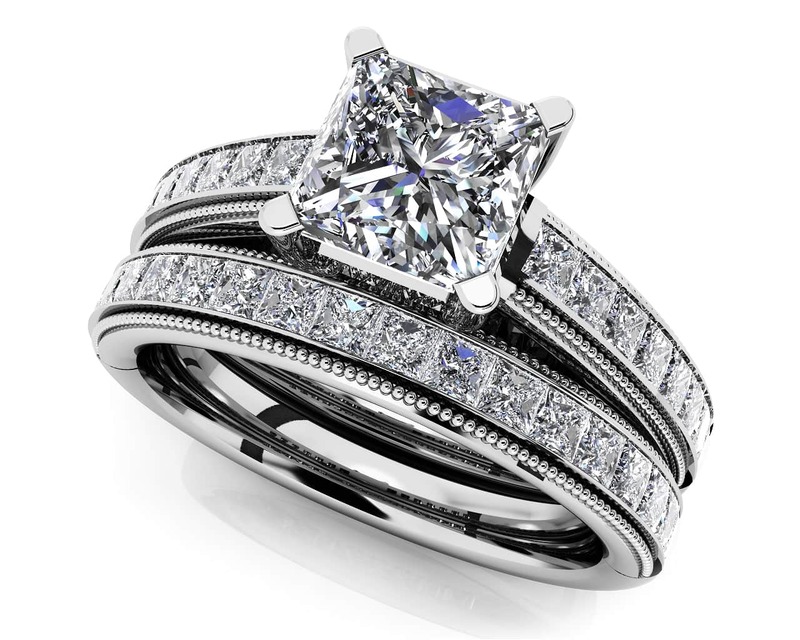 This stunning engagement ring features a princess cut center diamond, 16 princess cut side stones and milgrain edge detail. 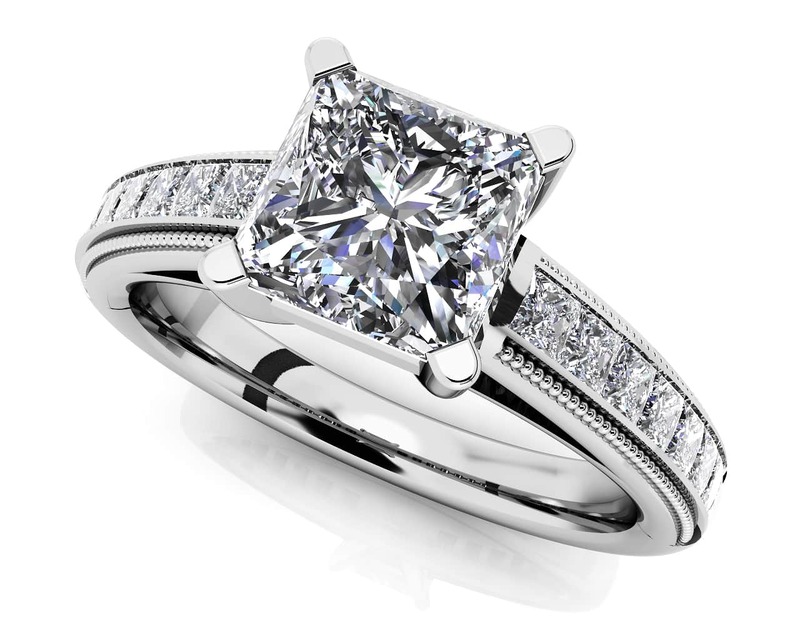 The woman of your dreams will feel like a princess bride with this ring on her left hand. 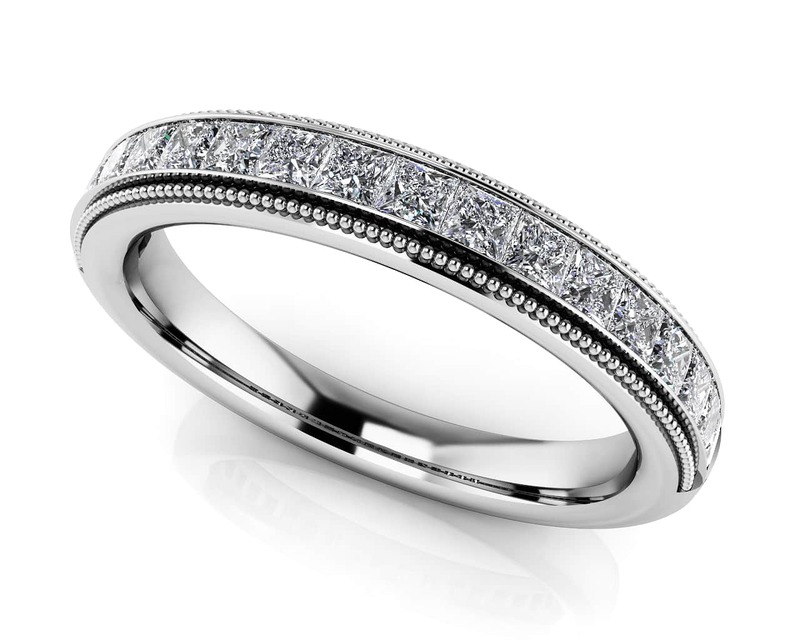 Custom select the center diamond and side diamond quality in the metal type you prefer to finish this masterpiece. Model Carat Weight: 0.92 ct. Effective Carat Weight: 0.92 ct.
Stone Carat Weight: 16X.026 ct.